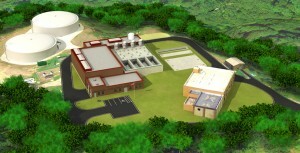 The City of Annapolis water treatment plant fulfills a mission greater than just its 36,000 citizens. The facility serves the region, the state legislature, the governor, and even the U.S. Naval Academy in emergency situations. Tasked with such responsibility, city officials wanted a design-build partner with a strong record of success. They chose CDM Smith/Haskell as the design-builder for this important project. Annapolis needed confidence that the design-builder could complete the project within the required budget and meet certification requirements for funding. CDM Smith/Haskell’s complement of over 100 LEED accredited professionals, $1 billion in LEED certified projects and industry recognized expertise provided assurance that the project would meet all necessary budget, schedule, and LEED Silver certification requirements. The City desired a partner who could use thoughtful innovation to create added value for the project. The progressive design-build delivery method creates opportunities for the design team to explore an array of technologies and methods to complete construction. All of this will be accomplished while the existing facility continues to be fully operational.